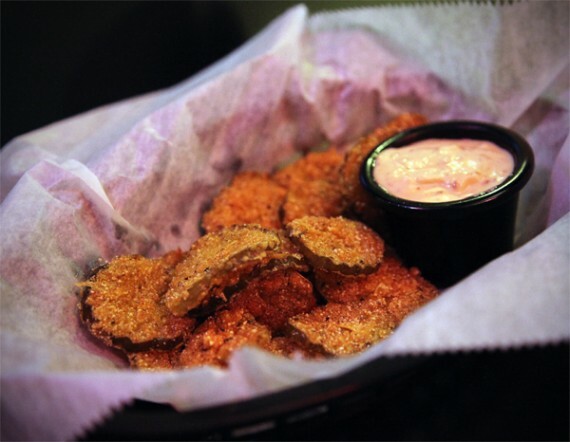 gah, i love pickle chips! if you ever ate the pickles at pure luck (RIP! ), these are totally different. they didn’t taste as heavy and battered, but rather lightly coated in corn meal and fried. a huge basket of fresh french fries covered in creamy brown gravy and daiya cheddar. unbelievable. the omnivores were loving these things and we finished off the entire basket in no time. 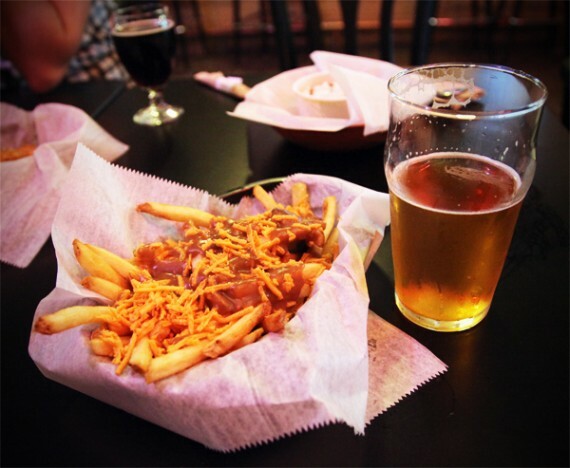 good beer, good friends, a basket of gravy cheese fries and some fried pickle chips. try topping that. Pet peeve: why isn’t that Daiya partially melted!? We have delicous vegan cheese; let’s not get lazy with it. 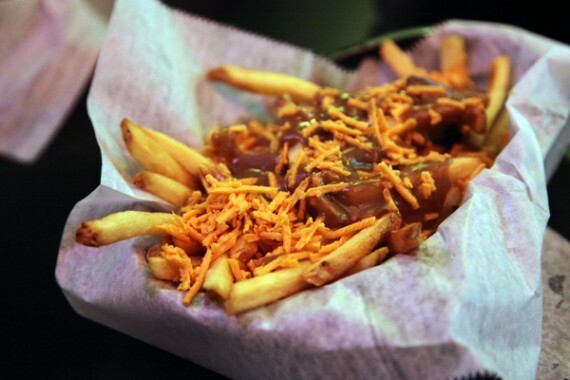 Americans call poutine disco fries? I love this place. I was just there Saturday night. It reminds me of Austin. I like casual places and it’s awesome that it’s in my neighborhood. I had the disco fries and the cajun chips, delicious! I am on my 9th day of being a vegan in Los Angeles. I was always a free-range, grass-fed kind of eater, but have decided to cut it all out. Your blog has helped widen my scope of what is available here, and for that I really thank you. No, we call disco fries, disco fries. Cheese curds are an essential ingredient for poutine. Those disco fries are calling me though. I love their food!! especially the vegan punjabi po’ boy sandwiches and maple almond glazed sweet potato fries! The vegan sliders are great too!! Can’t believe I only recently discovered this awesome place…. where you can get such yummy late night vegan treats! Sooooo GOOD! Wish they’d keep those specials on a permanent menu, though. Yeah, it’s similar, but a different item.